Yoga, an ancient practice and meditation, has become increasingly popular over the last several years. For many people, yoga not only provides a retreat away from the busyness of life, but also be a way to cope with anxiety, depression, or the impact of adverse life events. When you are experiencing symptoms of anxiety or depression, the responsibilities of daily life can be challenging—and you can easily lose sight of the need to take care of yourself. 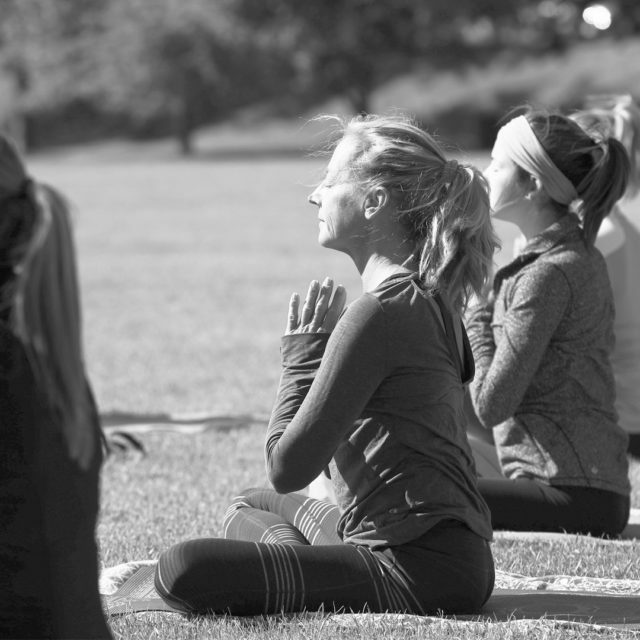 Since the purpose of yoga is to create awareness, strength and connection between the mind and the body yoga is a very powerful tool for self-care. Yoga increases body awareness; relieves stress; reduces muscle tension and inflammation; improves attention and concentration; and calms and centers the nervous system. Because of these many benefits, yoga is an important practice tool in coping with stress and mental health conditions. One of the greatest mental health benefits I’ve noticed for my own customers is how yoga has been a coping mechanism for stress. I find it helpful to provide education to on the effects of stress and how yoga can positively impact response nervous system. 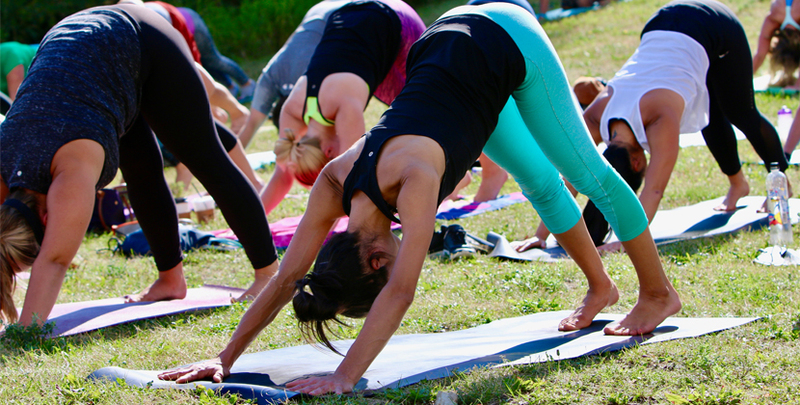 Yoga reduces perceived stress and anxiety by slowing down breathing and heart rate, and lowering blood pressure. The practice of yoga helps counteract the flight/fight stress response of the nervous system by calming the body and involuntary symptoms of stress (racing heart, sweating and anxiety). As a result of coping and responding to stress through movement in the body, we can develop positive coping tools and experience a more positive outlook on life. In our Partial Hospital Program (PHP) and Intensive Outpatient Program (IOP), our customers practice yoga as another way to experience relaxation and coping through physical movement and breath work. Yoga is known for its ability to soothe tension and anxiety in the mind and body. But it can also have an impact on a person’s physical health and abilities. Physical benefits of yoga tend to include: increased flexibility, increased muscle tone and strength, feeling more alert and energetic, weight reduction, protection from injury, decreased impact from chronic pain, and lowering blood pressure. Yoga teaches relaxation, deep breathing, and postures that allow us to challenge ourselves physically, and also learn how to listen, respond and accept limits of our body using our breath. Sometimes self-care isn’t enough. If you are suffering from anxiety, depression or have other mental health concerns that are making you feel overwhelmed, talking to your primary care provider is often a great first step. To make an appointment, call 763-581-CARE.